Google image search is a very powerful tool, allowing you to find images relating to virtually any keywords, and even to search for images that are “similar” to another image. 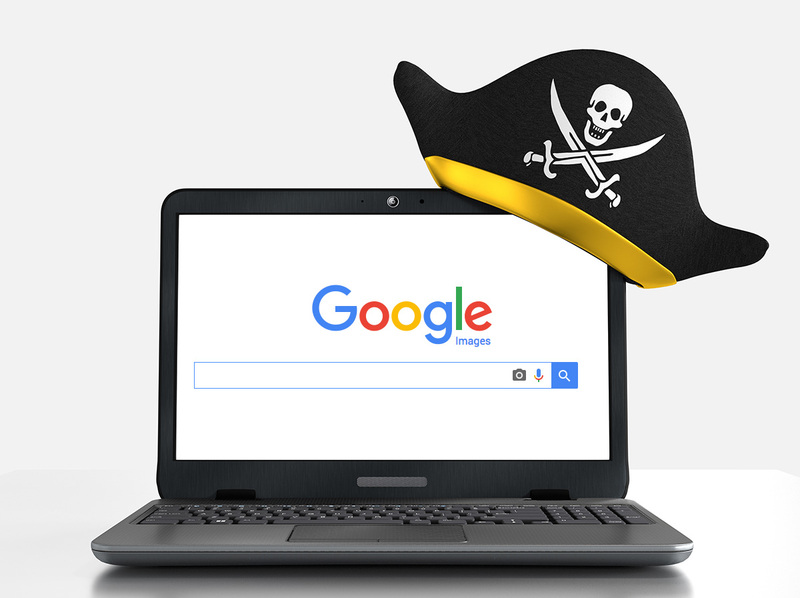 But there are rising complaints that Google’s image search is too powerful, and makes it easy for users to illegal download or reuse copyright-protected images. Google’s search results deliver a plethora of images in an easy-to-view format. It only takes a few clicks to find and download the original image file. There is no notice about ownership or copyright protection. Many users simply don’t understand copyrights, and some believe that anything on the Internet is free to use. Even those that may understand the law often ignore it. Getty Images, a company in the business of selling image licenses, has filed complains against Google in the US and the EU, and is launching a campaign to spur congressional action. But make no mistake about it… it’s not only big companies that are being hurt. Anyone who places their work on the Internet is at risk, and Google has made it much more likely that high-quality creative work will be found and stolen. As an amateur woodworker, I’ve made many drawers. Each drawer is a project in itself. It needs to be near-perfect in order to work properly, but the work can be very repetitive, since you seldom make just one. 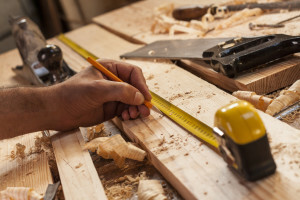 Moreover, nobody appreciates the time and effort that goes into a well-crafted door. Drawers are the bane of most woodworkers! As you work on drawer after drawer, boredom sets in. You lose your enthusiasm for the project. You lose your sense of creativity and craftsmanship. All you care about is getting the damn drawers done. And it shows. The person who would never have noticed a neat set of perfect drawers will certainly notice a drawer that is slightly misaligned, or one that doesn’t slide smoothly. More importantly, you will know that the work is less than it could have been. But it needn’t be that way. When working on drawers, don’t think about them. Don’t think about the finished cabinet. Don’t think about the project at all. Instead, focus on each step. Make each dovetail cut as perfect as it can be. Make each board planed as smooth and even as you can possible make it. In the end, the drawers will work perfectly, and the cabinet will be beautiful… and only you will know the effort that went into it. If you want to be a master cabinet maker, stop thinking about cabinets. Make lots of drawers. WYGK has a large number of websites, and like many site operators, we were afraid of how the Google mobile search algorithm change on April 21 would affect our sites. The change affects how sites are listed in search results on mobile phones. Sites that are mobile-friendly will appear higher in search results, and unfriendly sites will appear lower. We examined traffic statistics on a number of sites that are mobile-friendly, as well as sites that are not (“unfriendly” sites). We looked at traffic for a week before the algorithm change, and a week after. We found that the unfriendly sites suffered a 1.3% drop in traffic. However, the mobile-friendly sites also saw a drop in traffic of 0.4%. This could have been for reasons unrelated to the Google change. The bottom line is that the algorithm change was certainly no mobile-geddon! The impact was actually very small. However, Google and other search engines are likely to give increasing importance to mobile-friendliness over time. We are working to make all our sites mobile-friendly over the next few months. See more details on our mobile-geddon results study. Way back in 1975, when I was attending Cal State University, Chico, my friend Guy Hall and I started a company called NorComp. 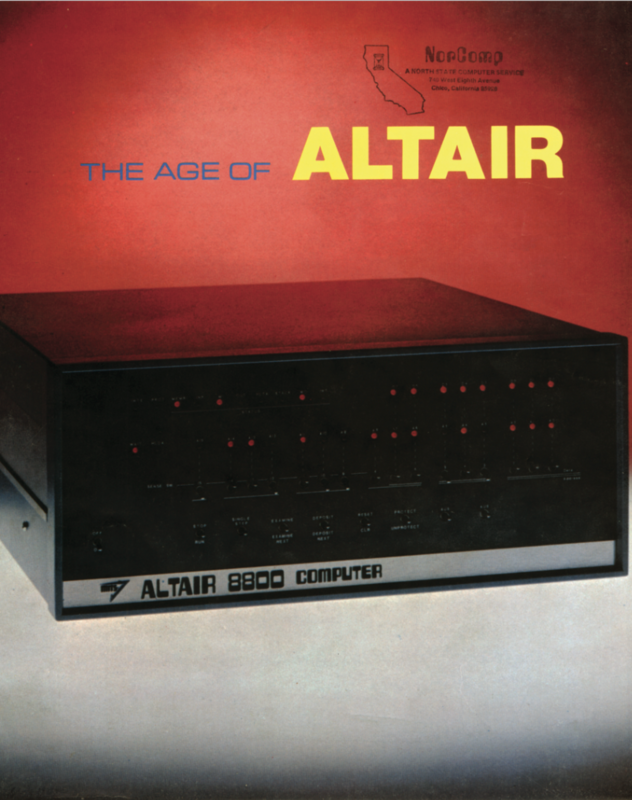 Our business was assembling and selling Altair computer kits. At one point we were actually offered the Northern California distributorship. 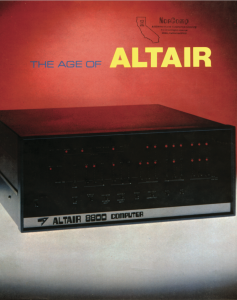 Along with lots of Altair hardware, I had a whole carton of full-color brochures. This was a VERY expensive machine back in the day! A maxed-out system could cost more than a new car. If you’d like to see the whole 20 page brochure, here’s a download link. Notice the nifty NorComp stamp on the cover? Version 3.0 of the Copyright Safeguard WordPress plugin has just been released. Previous versions placed the Copyright Safeguard button in the page footer. The new version supports the option of pacing the button in any content area, using a shortcode. This article is not strictly related to business, but I think it offers some good information for any small organization. Thanks to the Orchard Valley Ceramic Arts Guild, a California non-profit corporation, for sharing their experiences. Many people are interested in starting a club or group, but don’t know where to start. Groups provide a good setting to exchange information and to socialize. They can also accomplish things that individuals can’t, such as sponsoring workshops, organizing group activities, or operating group facilities. The purpose of this paper is to share the experiences of one group: artists who formed a successful local “guild.” Although this particular example is from the art world, the lessons learned can be applied to any type of group. The group was started informally in mid-2000; we began signing up members in January, 2001. The group has grown to approximately 200 members, and conducts workshops, exhibits, sales, and group activities. We were fortunate to be in an area with a lot of active ceramic artists, so we were able to grow quickly, but we know of groups with as few as 9 members that are still able to accomplish a lot by working together. We hope that our experiences can help others who are interested in forming a club or group! First, you will need a core group. One person can be the catalyst, but it takes a lot of work to get something like this started – you’ll need a group of people who are excited about the idea, and willing to put in some work to make it happen. In our case, we eventually had a group of 7 people who met regularly to plan, and who each put in a little seed money ($30) to get things off the ground. We started out by creating a mission statement, which is just a short statement of what the organization is all about. We wanted to create a supportive group, where members work together to help and encourage one another, so this is emphasized in our mission statement. Under the umbrella of the mission statement, we then decided on the activities we wanted to offer, and we put a person in charge of planning each of these activities: newsletter, website, regular meetings, workshops, and sale. (We later added special events like group pit firings.) We wanted to have some activities in the works when we started recruiting members, so we could tell them what they would get in exchange for their membership dues! You will need someone who is comfortable with budgeting and spreadsheets to act as treasurer. The treasurer, working with other members of your core team, will develop your first budget, This means figuring out what your activities will cost, estimating how many members you can recruit, and setting your dues to cover your expenses (with a little left over for future projects). We identified local places where we could reach other potters: schools, clay suppliers, etc, in preparation for our public “launch.” One of our initial team members was responsibility for recruiting, and she put together a nice brochure for us to distribute. It also helped to do a lot of personal networking! We kicked off our recruiting drive with a party that we organized, and we invited every potter we could find. At the party, we “talked up” the guild and tried to convey our excitement… we actually signed up about a dozen new members that night, and another couple of dozen in the first few months. We now have a meeting every other month. Meetings always have refreshments, usually a guest speaker, but plenty of time to socialize and chat about clay stuff. Members often bring new work to show, or questions for other members. By the way, the owner of our local clay store has become an enthusiastic supporter. He lets us use his shop for small workshops, post flyers there, and so on. If you have local art suppliers and shops, get them on your side as early as possible! The rest of this page contains some lessons we’ve learned over the past couple of years. We were lucky to have a professional website developer, and a professional graphic artist, among our early members. From the start, our website, membership brochure, and newsletter looked very good. We didn’t realize how important this was until much later. Once we all got to know one another, many of our new members told us they joined because the group looked professional – they were proud to be associated with it. So, although it was a lucky accident for us, we’ve learned the importance of a professional appearance. When deciding who will do your design work, don’t just take the first volunteer! We actually held a competition for our logo design. We have a committee review event flyers and other material to make sure it meets the group standards and conveys the image we want to promote. I hope this doesn’t sound too fussy – we just found that if you want people to join you, then you must look like a group they’d want to be part of. If you need help in creating a professional image for your group, we recommend LunaGraphica, a boutique advertising and design firm specializing in the entertainment and arts markets. Electronic communication is becoming critical to the visibility of any group! We found our website to be absolutely essential. I don’t think we could have succeeded without it. It’s the one place members and the public can go for up-to-date information about the guild and guild activities. When you meet a new potter and tell them about the guild, you don’t need to have a brochure handy – just give them the address of the website. If you forget the date of the next meeting, check the website. Want to sign up for the next workshop? Go to the website. We publish a paper newsletter 6 times a year – people like to get something tangible. But between issues, we send out news and announcements to a mailing list of our members. More than 90% of our members have e-mail addresses – this may not be true in your area. We established a buddy system, so people with e-mail pass on important news to the relatively small number who don’t use e-mail. Our website now gets about 30-40 visitors a day, and we see big spikes (extra visits) before our events, so we know people are using the website to get information. We’re also starting to use e-mail to reach customers. Our guild has built up a mailing list of regular street addresses, which we use to send out postcards before our sales. We won’t abandon that any time soon – it works quite well for us – but we’re also starting to collect e-mail addresses from our customers. We have about 4000 street addresses, and so far just 600 e-mail addresses on our customer list. We send out postcards, and then send out a “reminder” to our e-mail list. But in the future (perhaps a few years from now), I believe we will rely on e-mail to promote our sales and events. So, we’re working hard to build up that e-mail list! When we tried to rent facilities, we found that our local community center and other places didn’t want to deal with us unless we were a legal corporation. They also had much lower fees if we could show that we were a non-profit 501(c)3 corporation. Our postage bills started to get pretty high when we publicized our sales and workshops. Again, the postage rates are much lower for non-profit corporations. Our officers started to worry about liability. If someone got hurt at a group event, and decided to sue the organizers, none of us wanted to lose our businesses, savings, etc. If you’re not completely comfortable handling the process on your own, start networking to see if you can find a lawyer who will help you out for free or at a discount! At any event, it was a long road for us, but we are now a tax-exempt public benefit corporation. If you are starting a co-op studio or gallery, you will need contracts with your members. The contract should clearly define the rights and responsibilities of both the members and the co-op. It should also clearly define how the contract can be terminated by either party. Finally, it should specify a process for resolving conflicts. I recommend that the contract require binding arbitration through a properly accredited arbitrator. Otherwise, legal costs arising out of conflicts can bankrupt your group, even if you win! You may also need to create contracts if you are hiring instructors for workshops, or running sales or other types of programs.You can write up the terms of your contract in clear, understandable English, then have a lawyer draft the “legal” wording for you. Be sure the lawyer understands your intent, and don’t be afraid to ask questions if you don’t understand the resulting contract, or if you don’t think it says what you wanted. The leaders of your group will probably need to go over the contract many times with prospective members, so be sure you understand it! This short summary of our experiences should give you a lot to think about, and probably raise many questions! For more articles and resources for artists and art groups, visit ArtChain.com. Advertising and promoting your business is expensive, so it’s important to get the most from your advertising budget. That means understanding how to get the most from your ad agency or graphic designer. Let’s start by understanding the difference between agencies and designers. Typically, a designer will work on specific projects under your direction. For example, you may request an ad design for your Halloween event, and give the designer your copy (the text) and the party theme. You are responsible for booking the ad with the newspaper, getting flyers printed, having posters made, etc. An ad agency plays a more active role in planning the promotion of your events. They can work with you to plan your ad schedule, suggest the right mix of promotional tools to reach your audience, help you evaluate the effectiveness of your promotions, and negotiate ad rates and printing rates on your behalf. They can also help with choosing promotional themes and writing ad copy. Of course, you will pay more for these additional services – but you may actually save money by letting your agency do your negotiations and booking. Whether you are working with a designer or a full-service agency, it pays to plan ahead. If you can plan your advertising a year in advance you should be able to lock in much better ad rates. Leaving a couple of extra weeks when printing flyers will save you “rush printing” charges. And giving your designer extra lead time will almost certainly get you a better looking result! A typical small agency might require final “concept and copy” at least a week in advance of newspaper deadlines, four weeks in advance of distribution for printed materials like flyers (to avoid rush charges), and six to eight weeks in advance for complicated projects (such as die-cut and folded invitations). Many business owners don’t understand why final copy is required so far in advance… they ask the designer to do a design, and add the text later. But in a good design, text and typography are very important to the look of the piece. So if you want your advertising to look good, plan on providing the copy when you give the job to the designer. The above lead times allow time for the client to proof the final artwork, and make minor corrections, based on a single design. But when working with a new designer, or when promoting an important event, you may want to see several design concepts, and possibly several versions of the artwork. This can add one to two weeks to the schedule (more for very complex ads), and of course will cost more than a single design. When ordering the work, make sure the designer understands your market and the image you are going for. For example, you may look at a design and say, “That’s not cool enough for our market.” Another business manager may look at the same ad and say, “Whoa, that’s way too weird for our customers.” Show your designer ads you like (and don’t like) to help them understand the look you want for your business. But what if you don’t like the designs your agency produces? Well, you obviously shouldn’t run an ad that you feel really damages your image, doesn’t convey your message, or isn’t what you requested. But at the same time, avoid the temptation to micro-manage the design. You are paying your designer for their professional skills; their judgment is probably better than yours when it comes to layout, typefaces, color choices, etc. Also, if designers feel that the work they do for you is going to be extensively changed, they won’t give you their best efforts. So find an agency or designer whose work you like, and trust their design sense. If you find you consistently don’t like the work they’re producing, talk to them about the problem, and if necessary find another design firm. But don’t spend your time trying to “fix” the designs. It’s also very important that one person from your business deals with the design firm, and has final authority on all design and copy decisions (many agencies will insist on this). If a designer is getting conflicting input from several people, they can’t do a good job for you. If you need to, talk about the design with everyone at your business who is involved in the decision… but select one person to convey your feedback to the design firm. (A good design firm can schedule meetings with clients where everyone can contribute ideas and feedback – as long as one person represents the client when it comes to final input and decisions.) Note that this can be complicated when co-op advertisers or sponsors are involved. Typically the person or company being invoiced provides the input, unless they specifically designate a different person. So far we’ve talked about printed advertising and promotion, but for most businesses, the internet has also become an important promotional tool. Print design, web design, and e-mail promotions require different skills and tools, so you may use different firms for each. However, there are some advantages if you can find a single firm to handle all your needs. The design firm can make sure that your print and web communications project a consistent image. And you will only need to provide your event information and promotional goals to one firm, who can then make sure that the print ads are placed, the website is updated, and the e-mail invitations are sent. Some firms can also handle other design tasks, including menus, signs, and promotional items. An individual designer (free-lancer) or very small agency can give you personal attention and often lower rates. But you will need to work around their schedule if they are out sick or on vacation, and you will need to find a new designer if they change jobs. Individuals and very small agencies probably cannot provide a complete package of design services. Mid-size firms give your somewhat less individual attention, and may charge a higher rate than free-lancers. But on the plus side, they can provide a broader range of services, and they have several designers on staff so they can accommodate your needs even if someone is out, or if you need a lot of work done for a key event. So, how should you choose? Above all, find a firm whose work you like! Ask for samples and references, and if possible meet with the designers before making a selection. Decide if you want to hire a design firm (and manage the ad planning and placement yourself) or an ad agency to provide more assistance with your promotional planning (most ad agencies will also provide “design only” packages if you prefer). Find a firm that is large enough to meet your needs, but small enough to care about your business. We typically find that local, neighborhood businesses are best served by free-lance designers or very small firms; regional or metro-market businesses do well with mid-size firms, and major national companies get the best results from large firms (and can afford to pay for them). Talk to the firm about how you will measure the effectiveness of your advertising. It’s a good idea to try different types of advertising over time to see what works best for you. Consider coupons and special offers to measure how many people are responding to your ads. Remember that even the best advertising campaign gets stale over time. Plan for (and budget for) occasional reworking you advertising. Most designers respond very well to an opportunity to do something new for a client, and you will get the best results from both your design firm and your customers if you freshen your advertising every 6-12 months. Thanks to LunaGraphica Inc for input and suggestions on this article! Lunagraphica is a boutique advertising and design agencyspecializing in the arts, entertainment and youth markets. Most businesses understand the importance of an effective website. Many put a lot of time and effort into their websites, only to miss some basics. The following tips are things you can do right away to improve the effectiveness of your website. Hire a professional website designer. A few years ago, just having a website put you a step ahead of your competitors. Today the competition has gotten tougher. A poorly designed, amateurish website can actually drive customers away from your business. It’s worthwhile paying for a professional design. Make sure your website is FAST. Cheap web hosting services are often very slow. Poorly designed web pages can also be a problem. Studies have shown that web users will leave a page and try someplace else after just a few seconds! So make sure your site is well designed, hosted by a high-performance service, and loads fast. Include your business name, type of business, and geographical location on your home page as text (not just in an image). Search engines will index this information so that people can find you. Talk to your web designer about the best keywords and search terms to incorporate on your website. Include a short description of your business and what it does (2-3 sentences). Put this near the top of your home page, and search engines will typically show it in the search results. Be sure to include the hours you are open! Have a page for directions. Include the address of your business, plus directions or a link to one of the online mapping services like Expedia, MapQuest or Yahoo Maps. Include a contact phone number, if possible. Include a contact e-mail address. If you don’t want to list an e-mail address (which can be “harvested” by spammers), provide a contact “form” that will generate an e-mail message to you. Your webmaster or hosting provider can advise you on how to set this up. Submit your site to search engines and various listing services. Almost all web traffic comes from just a few search engines; it’s important to submit to Google, MSN, and Yahoo. Note that directories such as Yahoo have started to charge for listings, but still offer a free listing for non-profit groups. Ask other groups and businesses if they will link to you from their websites. This will, over time, increase your rank in search engines. Make sure you keep your site up to date! Studies have shown that about a third of the links on the internet are out of date. A site with broken links and out-of-date information creates a very poor impression. Include your website address on everything that your business prints or publishes. In a future column I’ll talk about more advanced web techniques – but just following these basic tips will improve most business websites! Recently I needed to order a custom neon sign. I searched the web and found several companies that could do what I needed. I used an online form on one of the sites to ask a few questions, and sent e-mail to a couple of others. The answers came back via e-mail, and I chose one company over the others. I went back to their website and I was very surprised to find that the company is located in my town, just a few miles from my business! I had them make the sign, and I was very happy with the results. But the important lesson here is that I found the business via the Internet. I never saw their ad in the chamber of commerce newsletter or their listing in the yellow pages; I didn’t even consult those resources. It was just a lucky coincidence for me that this company was local (because shipping neon signs can be expensive). I’ve learned that I can save a lot of money by searching the web for my business needs. My flyers are printed in Florida; office supplies are shipped directly from one of the big online companies; tools come from a company in Washington, and so on. As a purchaser of goods and services, my business can take advantage of the very best deals anywhere in the US! But it’s equally true that as a provider of goods and services, my business must now compete with others all across the country. As I small business, I need a good Internet marketing plan and an effective website. I need a compelling value story that will lead customers to choose my business over the hundreds of others they will find on the web. I need to use my website to get new customers and retain my existing customers, which may require me to rethink my entire business process. It’s easy to ignore these challenges when you are faced with all the day-to-day challenges of running your business. Some small businessmen think they are immune to Internet competition. Just remember – that’s what your local bookstore might have said before Amazon.com. For help creating a professional website for your business, we recommend LunaGraphica.